This evening, the 92nd Street Y – located on the upper east side of Manhattan – opens its 2015-16 season with a program dedicated to the music of iconic American composer and pianist, George Gershwin (1898-1937). Sold out months ago, the finale of tonight’s concert will be Gershwin’s Rhapsody in Blue (1924), written for jazz band and piano. Rhapsody bridges the gap between Gershwin’s Tin Pan Alley and Broadway compositions (Strike Up the Band, Fascinating Rhythm, But Not for Me) and his classical work (Cuban Overture, Concerto in F, Porgy & Bess). Commissioned by famed bandleader Paul Whiteman, Rhapsody in Blue was introduced by Whiteman and his band with Gershwin himself at the piano. The piece caused a sensation (with the audience, if not the critics) at its world premiere on Sunday afternoon, February 12, 1924 at Aeolian Hall in New York City. 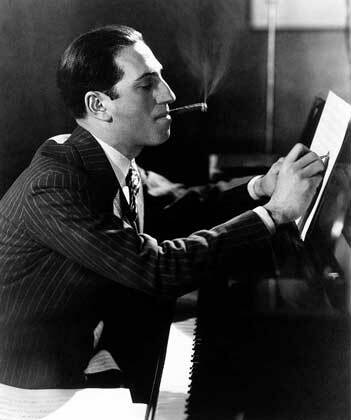 It also fulfilled Gershwin’s ambition to be taken seriously as a composer. 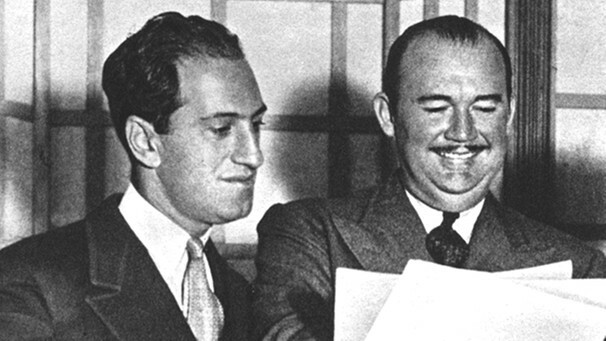 Paul Whiteman is remembered as not only a successful bandleader but, also, as a trailblazer in American music. Although his moniker was the “King of Jazz”, he had much higher ambitions. Born into a musical family in 1890 – his mother was a former opera singer and his father held the position of supervisor of music for the public school system in Denver – he was surrounded by music throughout his childhood. By age 17, he was already a member of the Denver Symphony Orchestra and, later, of the San Francisco Symphony Opera. Following a stint conducting a U.S. Navy band, he created the Paul Whiteman Orchestra immediately following World War I. Within a few short years, Whiteman had expanded his empire to over two dozen bands and his annual income exceeded $1,000,000. The concert at which Rhapsody had its premiere was part of a program entitled An Experiment in Modern Music. Whiteman preceded the concert with a brief lecture, during which he told the audience that he had conceived the afternoon as being “purely educational” and that the concert might “at least provide a stepping stone which will make it very simple for the masses to understand and, therefore, enjoy symphony and opera”. Whiteman had programed an extremely long afternoon – 26 compositions – and the audience was clearly losing its interest (if not its mind) until the penultimate composition (or, in Broadway parlance, the 11:00 number), Gershwin’s Rhapsody. The opening clarinet solo – instantly recognizable – was not explicitly what Gershwin had originally composed. During a rehearsal, clarinetist Ross Gorman played an extremely exaggerated glissando (an Italian musical term, meaning to glide from one tone to another) as a joke. Loving what he heard, Gershwin insisted that he perform the opening exactly that way at the performance, and that’s how it’s been done ever since. The performance of Rhapsody in Blue that afternoon saved the concert and most, if not all, of the other compositions are today largely forgotten. However, the finale of the concert, Elgar’s Pomp and Circumstance March No 1, survives (as any high school graduate will tell you). The reviews were wildly mixed and, during his lifetime, Gershwin got little respect from the critics for his “classical” endeavors. Nevertheless, within 3 short years, Whiteman’s band had performed Rhapsody 84 times, and its recording had sold over a million copies (in 1927, the entire population of the United States was 114 million). Originally orchestrated for Whiteman’s band by Ferde Grofé, it was adapted in 1926 for a theatre orchestra and finally, in 1942, for a full symphony orchestra. The great success of Rhapsody is that it has penetrated the national consciousness. While Gershwin often described the piece as “a musical kaleidoscope of America”, it has been more specifically associated with New York City. The band for tonight’s concert will be Vince Giordano and the Nighthawks, an institution in New York City. Vince is known for his commitment to preserving and authentically presenting 1920s and 1930s jazz and popular music, so he and the Nighthawks are an inevitable fit for this program. For more information on tonight’s concert, please check out this link to the 92nd Street Y – and enjoy!